The suggested 10 Grand for the whole Collection doesn´t seem a lot to me. 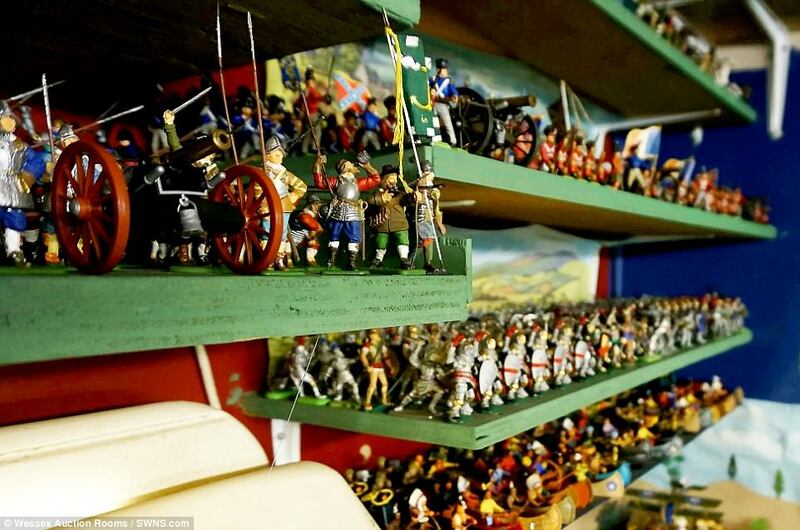 Paul wrote: The suggested 10 Grand for the whole Collection doesn´t seem a lot to me. That is true. It is really not much for such a collection. Thanks for sharing the article, Paul! Even if each item went for just 50 pence each it would work out at a bit more than 10.000. I hope my son will be interested in keeping my collection. Sometimes in the futur this will be a question for me as well. The collection in the article is large, but it looks like mostly factory painted 1/32 stuff. I wouldn't be too interested. The guys on this forum have more intriguing collections. MABO wrote: I hope my son will be interested in keeping my collection. Sometimes in the futur this will be a question for me as well. Divide 250 thousand of anything with 55 years and you will see how much he was dedicated every day. Looks like a lot of them deserted.